Categories: Asket | Tags: Asket, freedom from oppression, future of human race, galactic human, integration of self, League of Light, OM divine human, remembrance, self-delusion, video | Permalink. When we relinquish our ideas of self, of reality, of what we know reality to be, we allow a greater reality to come into focus… one that is alive with potential and long-lost friendships forged over the temporal waves of other existences. Asket greets us here with an invitation to get into closer contact with her and other off-worlders in service to the League of Light, and to cast aside our erroneous beliefs to make open the path toward a greater experience of Self. Many people have been asking for a closer interaction with Asket, and this video serves as her response to you, with great love. Categories: Asket | Tags: Asket, channeling, converging timelines, fearlessness, integration of self, League of Light, Pleiadian, video | Permalink. We are Asket. It has been some time since we have spoken with you. We have been watching and participating with you in the emotional roller coaster of events that you have been witnessing in your world. We’ve felt everything that you’ve felt and we’ve watched through your eyes the growing horror and the unfathomable pain that you have witnessed becoming unmasked in your world. There are many layers of reasons why these things are happening, why they continue, why no one is stepping in to stop them. It is not the role of those beings who are of a benevolence to your planet to interfere in your development in any way. You understand the idea non-interference, though it has rarely been practiced on your world, and those who have seen fit to aid in the development in of those societies that have been, in their eyes, perhaps primitive, at best… these individuals have done very little to improve the state of being for those who have lost their traditional ways, their connection to their source, their land, their language, their culture, their children. You see where the practice of intervention in the development of a society can lead when it is done from the standpoint of control and gain. And when it is done from the standpoint of benevolence, then you must understand that it just doesn’t have a place within the framework of love allowing other to experience life and sentience in the fullness of its right to be. So you will not see those beings who hover just at the periphery of Earth’s envelope rushing in to save the planet from those who would destroy it, not because we are not aware of what’s going on. We are very aware. We are aware of those who watch, and what you are experiencing. We are also aware of those who suffer. We hear them in their pain. It is not our place to rescue. There are levels of participation which we are not permitted to cross into. We are also aware of those who are perpetuating the pain. We are aware of what’s going on in their hearts, even though, for the most part, they are not. The soul speaks, but when the embodied personality chooses to ignore it, you could say, bad things happen. There is a disconnection from source, which leads to a great turbulence in the experience of many. Do not think that we are standing idly by and allowing things to turn from bad to worse because we aren’t allowed to interfere. There are levels of interference. There are levels of observation. 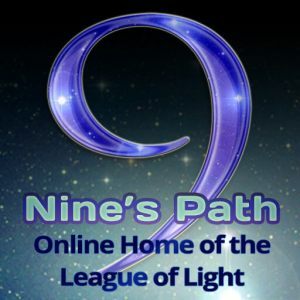 We of the League of Light have a specific mission in regard to your planet at this time. We cannot stop what you have allowed to be. We cannot pry open the eyes of those who want to stay asleep. We cannot melt a heart against the will of someone to open to the light of understanding and to the fire of love’s source, which animates and does not destroy. You see, where we are speaking to you from, we see what’s going on in your world now as a kind of echo of what happened on our places of origin and other places where we have witnessed the development of humanity. It is not unique to your world alone to have a planetary level of war in which innocents are slaughtered. 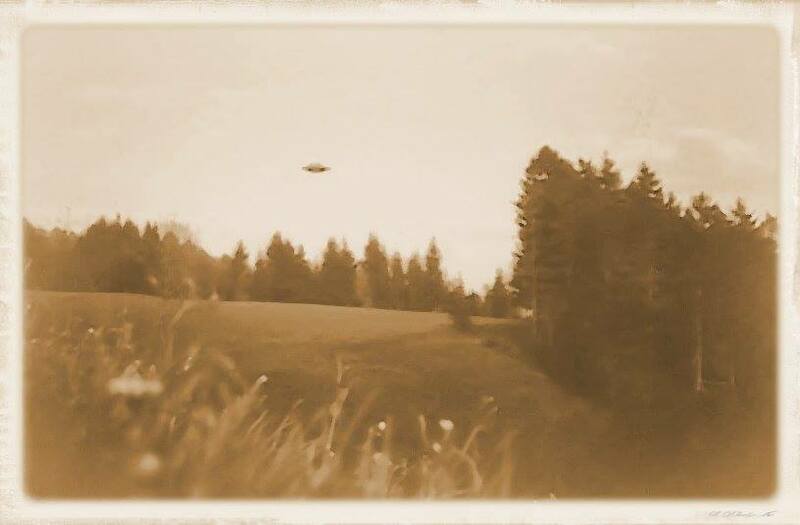 It has happened on many worlds and, from my perspective speaking to you here today, it is part of the human history which my lineage has witnessed firsthand. What is happening on your world has happened on others, and has had various types of resolution. You must understand that the planet herself is involved, and the planet is sentient. The planet nurtures and nourishes and supports and loves, and the planet also knows when it’s time to shake things up a little bit and bring certain chapters to a conclusion. You’re not facing this kind of calamitous end of times. We assure you that while many of you have the thought that the planet is dying, it is not. The planet will transform itself to adapt, and in fact transformation is all that exists in death and in life. You are in a constant state of transformation; if you are alive and aware, you can participate in the transformation. Now what I have to say to you today, regarding your situation, as painful as it is for countless souls who are participating in this drama, as painful as it is to those who are awakening to the sights and sounds and information that is staggering to anyone trying to comprehend the enormity of it and the depth to which some creatures are willing to go in order to accomplish what they see as a righteous end: More of this you will see. We ask you to hang on to your humanity, not to sink into violence in any way. This begins with what is happening within you as more light is apparent within this time, more of an influence of a cosmic intelligence which is flowing into your world. Many of you have felt some aspects of this in various ways. 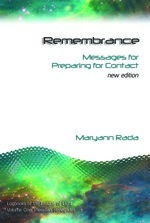 As this intelligence flows into your world and into your experience as an individual, many layers of pieces of pain may very well work their way to the surface for you to deal with, things that you never thought would remind you of them, of experiences where perhaps you have some unresolved wound to heal. There is no need to re-experience the pain, only to acknowledge that you have survived. In light of your own forgiveness to yourself for allowing yourself to — perhaps what you would say — make mistakes: There are no mistakes, there is only experience. Where you considered that you have failed as a human being, where you have not lived up to the standards to which with hindsight you know you could have, forget all this. It is time to forgive, not judge yourselves. Become aware. Allow yourself to love yourself for who you are, and know that the experiences that you have participated in throughout your life and your lifetimes have created a greater awareness of love within the human consciousness that spans this planet, and that it ripples out into the humanity, the consciousness that exists beyond your world. We are part of that, and we likewise are radiating our experience of love and peace and wholeness, of a recognition of the divine nature of the human, to you as our human counterparts upon Terra. As you allow love to heal yourself, you can allow the claws to retract, the fangs that many of you share with each other to turn into smiles. Dear ones, see yourselves as human with a divine nature within you. You are divine light. It is not buried deep inside you; it is what you are. Allow the violence within yourselves to cease, each of you. Let go of the weapons that you have carried within yourself with which you have wounded yourselves and others, yours words, your defenses. This world is transforming, and everyone on it is participating in that transformation. Find love within your experience of your world. This is not to say that you condone the violence that you see. This is not to say that what is happening is all right. We are not saying this. What we are saying is that love exists within conflict. There is a way for you to find your source, for you to encounter divinity. The divine is not causing the conflict, dear ones, but separation from the divine within each other, each of you. Separation from yourselves and from each other. In the space between, you’ll find the path to the divine, and when you do, everything will change. Dear ones, we know you can do this. And we are with you in ways which you may be coming aware of as you allow us to watch through your eyes and to feel through your hearts. Feel what that means, and know that a greater love can speak through your voice and move through your actions. Allow this. Open yourselves to the source of your life and your divinity. Find the place where the separation is. Go there without fear of annihilation. Find the place inside you where you’re separated from your self. It’s the broken places where the light shines through. This is a huge moment for humanity. We are all together part of a greater humanity, and what you’re experiencing now is a temporary part of the transformation that need not go in the direction of degradation, which can turn within each person towards divinity and a higher understanding. We wish this to be with all our hearts joined together around your world. We are radiating our love to you, each of you, all of you… all of you. We hold you in our hearts and we walk with you as you enter into the next phase of your evolution of understand of what it is to be an embodied human in a world where love is hiding. I am Asket of the League of Light. Together we send you our love unceasingly, and with a full heart I say, we bid you peace until we speak again. Categories: Asket | Tags: Asket, fearlessness, forgiveness, future of human race, integration of self, League of Light, Pleiadian, self-delusion, truth and lies, war and peace | Permalink. Love shines through the cracks in our broken world, and through the broken places within our hearts and minds. In the midst of war and surfacing trauma, is it possible to find connection with the divine? Asket shares deep insights about the universality of our world’s state and the ever-present light of love, hidden in the rubble yet present and findable, for those with courage to look. Categories: Asket | Tags: Asket, channeling, fearlessness, forgiveness, freedom from oppression, integration of self, OM divine human, Pleiadian, video, war and peace | Permalink. Categories: Asket | Tags: Asket, channeling, converging timelines, extraterrestrial contact, future of human race, galactic human, integration of self, League of Light, Pleiadian, Pleiadian DNA, Pleiadian Earth humans, time shift, video | Permalink. Do you anticipate some sort of collapse and inevitability regarding your planet’s movement into a more enlightened state of being? You are already seeing the foundations shake. Soon everything will shift into a more comfortable arrangement for your own movement into a state of transformed being. When the last domino falls, in the game of winner-take-all, when the last card is traded by mercenary hands, you will know the movement is in full swing. At that point, we will be able to communicate more directly with you as a people fully awakening en masse. At that point, you will be able to hear what we have been unable to disclose except in carefully worded literary works such as this one you are reading now. Centuries have passed without any movement being allowed to happen unanswered by a counter-movement. You have waited for lifetimes to see the reality of change come to be. Long ago, you decided to be a new kind of human when the time came to demonstrate what that means. There needed to be a real person to show the way, and that person is you. No matter where you are, you are part of the movement that’s already happening. You are in the midst of change, and for many, that is bringing up confusion or questions. We will do our best to alleviate your anxiety as the lines of longitudinal movement shift and settle. Some already ask, and some already have found ways to arrive at a balance point within as the scenery changes around them. We are working with a great many of you on various levels of awareness, as are others who are appearing as your personal crew. There is no need to be alarmed at our presence, or at dreams or other modes of communication. 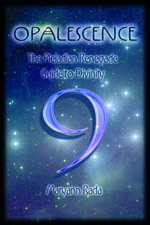 New insights will flow as you open to the direct influence of the galactic nature of your own transformation. 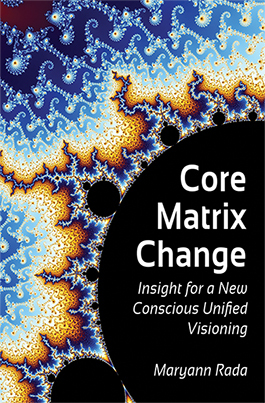 You are changing, and as you do, you will come across more and more to be in awe of, from a standpoint of your matrix-based historical perspective. The dimensions are loosening up, so to speak, and with that comes a whole lot of new information. Let in the new information that comes from truth and put to rest what comes from the chaotic realms of nonsense and deceit. 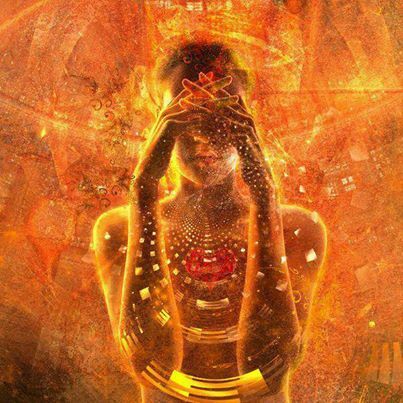 If you are tuned in to your core truth in absolute fearlessness, you will not be deceived. Have you given any thought to what you are going to do when at last you have the freedom to live as a human on a world without oppression? You are to a large extent caught up in struggles and mortifications, tension and shock. Give yourself some time to explore the loving reality that moves within you. It is your nature and your right to know the truth about galactic human life and it is even more so for you to feel and experience it. Let yourself access the future without putting any pressure to make it fit any particular biological matrix that you know. Life for galactic humans is different than life for terrestrial humans, but the love we hold for each other is of a universal kind of understanding. The planetary transformation you are in the midst of will lead you to the understanding of our world and the experience of what life is like there as your planet comes into nature within a new dimensional matrix. You will all need to recalibrate your biology within that new matrix and then you will have an experience of what “galactic human” means. Categories: Semjase | Tags: channeling, converging timelines, day of transformation, fearlessness, freedom from oppression, future of human race, galactic human, integration of self, new earth, Pleiadian, Pleiadian Earth humans, remembrance, Semjase, truth and lies | Permalink.